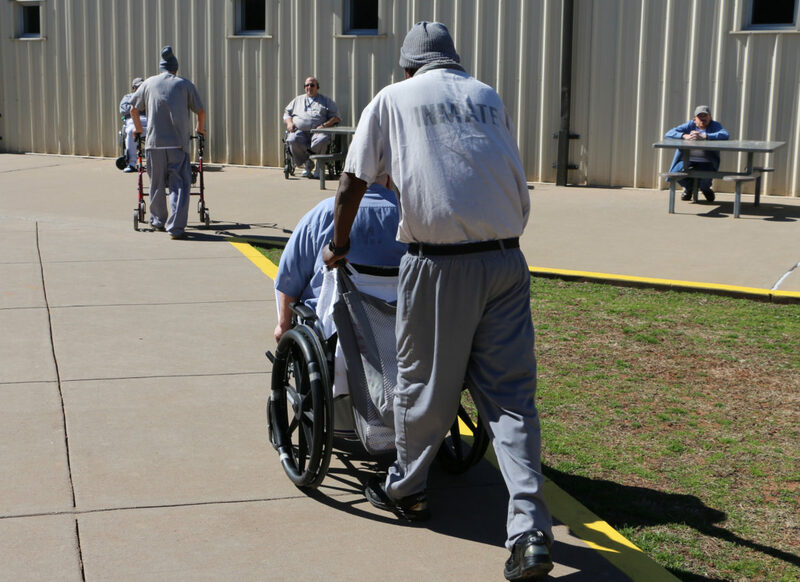 Inmates using wheelchairs or walkers are a common sight outside one of the chronic care clinics at the Joseph Harp Correctional Center in Lexington. Oklahoma’s prison population continues to increase and lawmakers are trying to find new ways to ease the overcrowding and save money, while protecting the public. As Brad Gibson of Oklahoma Watch reports, one approach being looked at is releasing older prisoners who have serious health issues.